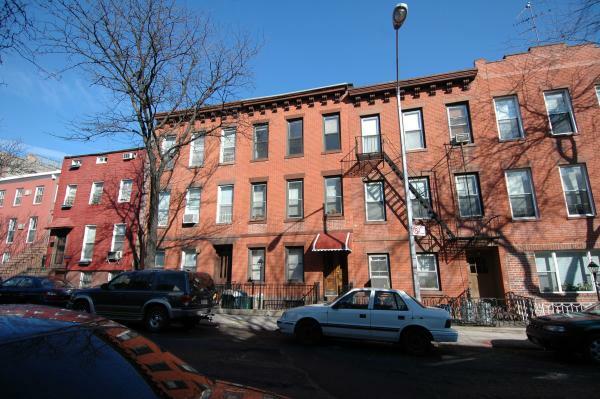 Here's a lovely brownstone in the heart of residential Clinton Hill, close to the C train, the G train, Choice, Pratt, and all kinds of amenities on Myrtle. 26 St. James Place was once listed for this same price of $1.35M with Brown Harris Stevens in the Fall of 2008, just after the crash. 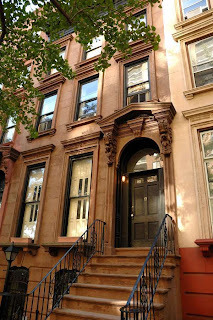 It was featured as one of Brownstoner.com's Open Houses of the Day. After a little hiatus (surely, it's taken us all a while to recover) suddenly it's back & vague-er than ever! A different broker we're not familiar with has the listing, and isn't giving us what's really needed: clarity on the occupancy status. The Certificate on Occupany has this place listed as a 6-Family. The listing calls out 6 bathrooms. It's unclear whether there are still tenants. Like yesterday's listing, we have lots of questions. Unlike yesterday's listing, the price isn't reflecting the issues the property has. And yesterday's listing was in a WAY more desirable neighborhood for some $150K less. And there are certainly some pro's & con's to weigh. 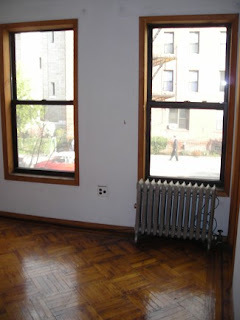 Everyone who's interested in this property will need to understand the occupancy issues, because it affects everything. We wish the agent would have addressed what's going on there. Lots of homework to be done for prospective buyers. That's where we come in! Ideally: the agent can provide a little clarity and the issues aren't deal-breakers. Remember, there are some gorgeous 6-Family's over here than can't close at $800K! 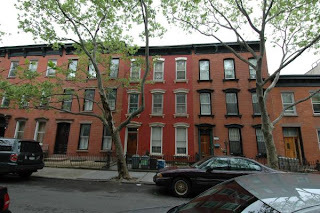 You want to live here: around the corner from the B/Q trains at 7th Avenue, on a cute little block in Prospect Heights at the cusp of Park Slope and Prospect Park. Even as an SRO, this house has value all day. There's all kinds of $2M houses crawling around over here, this will be one in the near future. $1.2M isn't even that crazy an asking price. 138 Prospect Place is a 20' wide brownstone building that's got a Certificate of Occupancy (and listing) talking about a 1 Family duplex and 7 furnished rooms on the other floors. What has us confused is how there are only 2,725 square feet if the building is 20' x 55' and four stories with the garden level. Perhaps not all floors are as deep? Who knows if it's delivered vacant, with tenants (potentially hostile), with a Certificate on Non-harrassment filed or not? These are unknowns that have real effect on the value, and are worth looking into, but this property will move regardless. There are only so many place like this on these blocks. The owner seems to have had this house for decades, but faced numerous Lis Pendens in 2003, 2006, and 2007 for tax liens on what are relatively miniscule amounts. Property Shark is even showing a foreclosure auction that was scheduled for 11/18/2010 for those tax liens. It's unclear to us whether the auction happened and now someone's flipping it, or if the seller still has a chance to get out from under it. 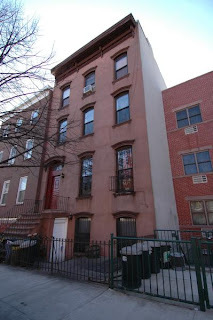 The listing appeared about a month after the auction was scheduled for. Call the agent, get the scoop, there's something juicy here! Ideally: there's room well below asking price to satify both buyer and seller. Listed just above the borough-high average of $1.54M for Cobble Hill homes, at $1.595M, 82 Butler Street is a 4-Family brownstone in PRIME Cobble Hill that's worth a look. Unlike some of the more lofty price points or janky joints running around these parts towards outer Carroll Gardens, this looks like a turn-key rental operation. 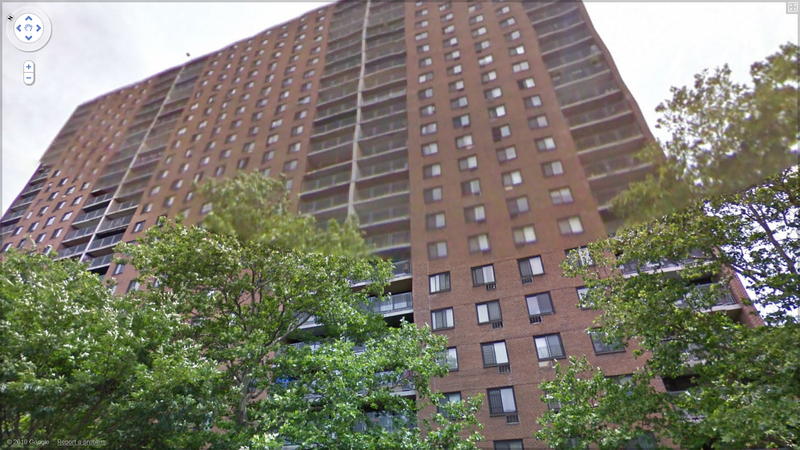 It would seem the apartments are set-up as large 1BR's, but if 2BR's could fit on any of the floors, given the 25' width of this building, the rent per floor might be more optimal. We love that the listing even calls out the gross rent roll of $94K/year, the fact that each unit has its own washer/dry (great ROI there), and that tenants even pay their own heat & hot water. At these current rents, the max FHA loan amount might not get all the way up to the 4-Family loan limit of $1.4M. But market rents might be estimated even a little higher, so ask around. From what we can tell, the owner's had it for years and is sitting on a great monthly rental income check and tons of equity. So probably no hurry to drop the price there, but also perhaps room to negotiate without any heavy loan to get out from under. Especially with foolishness like this going on, a garden-level condo closing a few blocks away for $700/sqft+, at $479/sqft, 82 Butler is almost a play as a condo alternative. 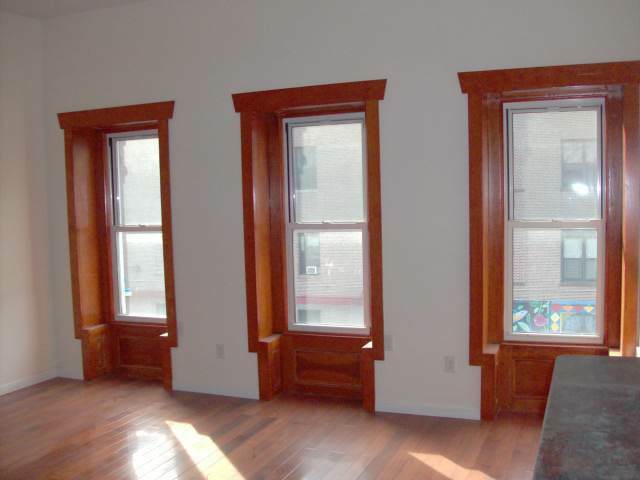 Or, given its great condition on the interior, it's not even a far cry from a condo conversion play. 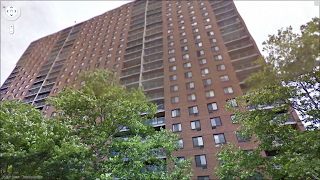 Con's: currents rents can't get up to $1.4M loan limit, 1BR's rentals? Ideally: look into it and keep an eye on it. This is a good buy for many at this asking price. It becomes REALLY interesting anywhere closer to $1.4M. "Why Go To Manhattan?" this listing asks. Hmmm, good question. Maybe because we don't wanna overpay for a narrow, not-that-great house that hardly even stacks up to condo's on a price-per-sqft basis? 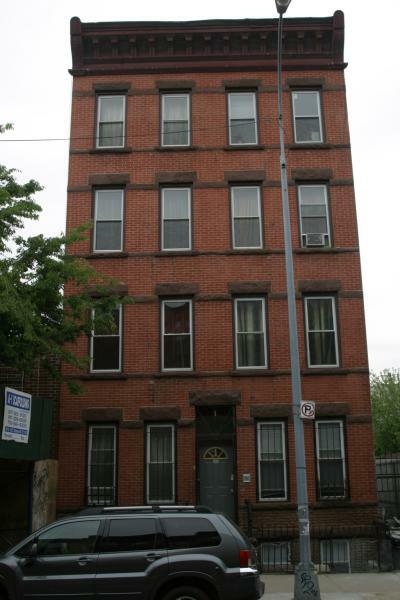 $689/sqft for a 2-Family that's on a block toward Gowanus? We're not seeing it. 444 Sackett has got some explaining to do. As great as this general neighborhood is, you can't charge this much for a small house and lousy finishes. Something's gotta give. 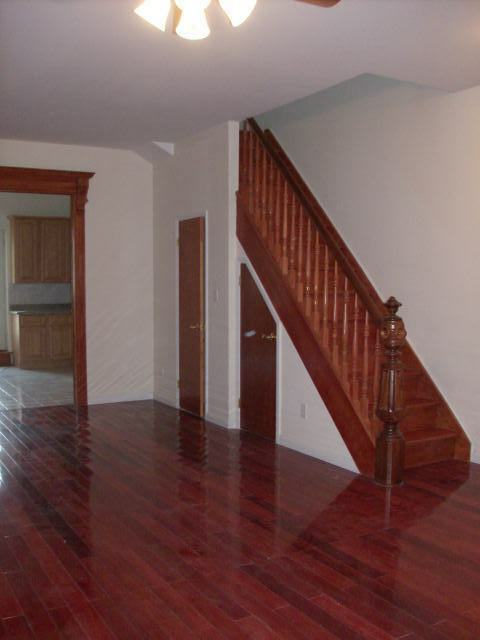 The listing boasts, "Freshly Painted." Yeah, so are $900/month studio apartments in Queens. What are they talking about? 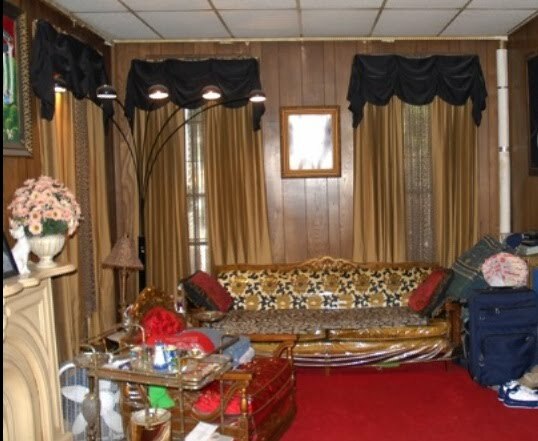 The only thing this listing has going for it is they took pictures and put it on an MLS. In what is unfortunately a rare move for income properties, they also called out the $1,500/month rental income. Ooh, and they have the condition listed as "Vintage". Aren't real estate euphemisms the best? Ya win some, ya lose some. 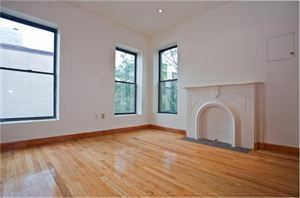 Con's: Gowanus-y, relative price, tiny, 16' wide, dated and/or cheap finishes. Ideally: spend this dough on something larger. If this goes for more than a million, we'll be astonished. As these Brooklyn properties go, we've been up & down Greene Avenue in Fort Greene & Clinton Hill. 175 Greene Avenue sits in our hall of fame. 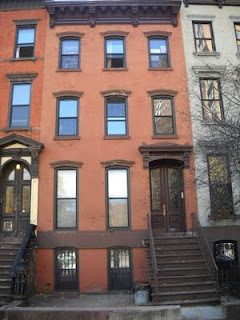 We covered 103 and 105 Greene earlier this week, 347 Greene last week. 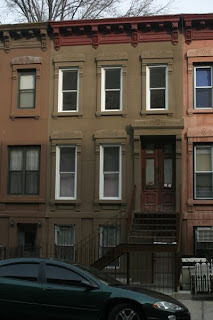 147 Greene had the fire damage. 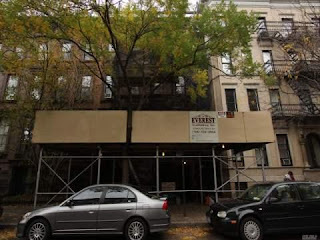 Our buddy in Yeasayer even chimed in for 232 Greene. 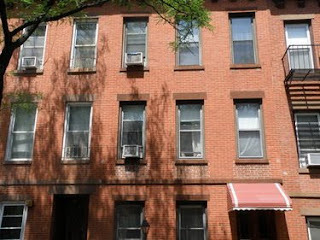 An agent wouldn't even show us 312 Greene last year without the understanding that it would be "not a penny under $1.5M" - closed this summer for $1.275M. 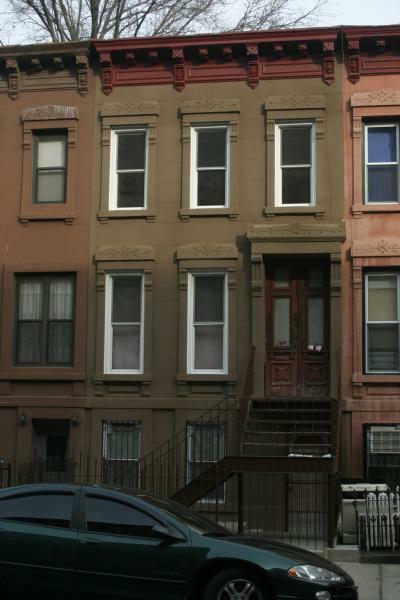 Our offer of $800K in April on 298 Greene was scoffed at, then it turned around and closed months later for $825K on 9/9/2010. 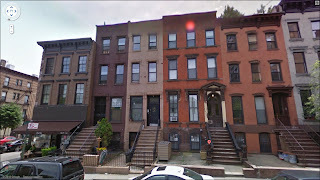 Today we take a look at 290 Greene, which we stumbled on in an interesting Trulia talk thread about how there's no real multiple listing service for brownstone Brooklyn - the pet peeve that spawned this blog. 290 Greene is a 4-Family building on the corner of Classon and Greene, heading towards Bed-Stuy from Clinton Hill. The building's only attached on one side and has a bus stop right in front of it (can you say, BEEP BEEP BEEP 24/7 as the bus toots and the airbrakes huff & puff over that little 2 inch accomodation the bus makes when it stops?). The building was purchased in May 2007 for $850K. We're not sure of the condition inside then or now, but it sounds like it could've been a reasonable buy, even if it happened during the boom. But a Lis Pendens was filed 12/31/09. Shortly afterwards, this listing appeared for $475K. How could this building not go for that price, almost regardless of condition? We're not sure if this listing is still active, even. 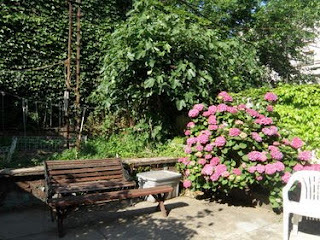 But we couldn't imagine much has changed, since the owner's still in the same position on this property. See the inside, make a play! Ideally: this place needs less than $200K in work and is a nice pick up for somebody with the time and cash for a renovation. Listed two days ago, it's a Christmas Miracle!! Okay, not really. 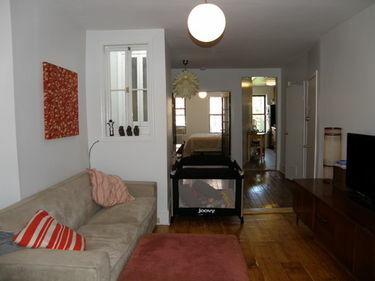 It's more like a little too far and little too pricey and a little too overly-yet-jankily renovated. It's 463 St. Johns Place. 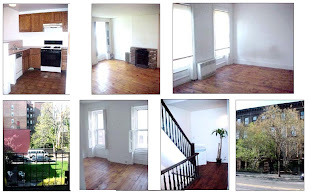 The Streeteasy listing even has more info than the broker's site itself. 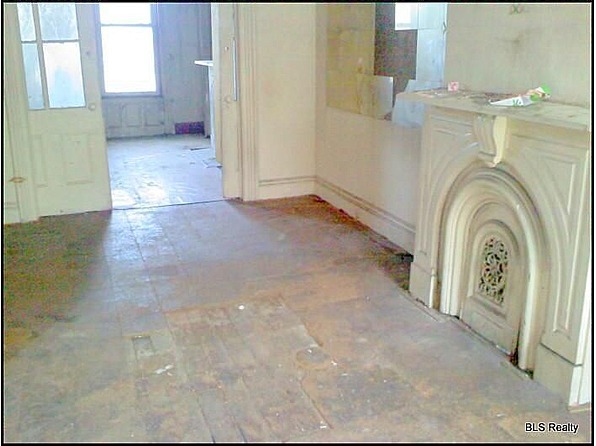 The owner picked it up in 2003 for $250K, and might've put the same amount into rehabbing the place. But the kitchen and bathroom remain dated-feeling in their style and don't really match the rest of the house. 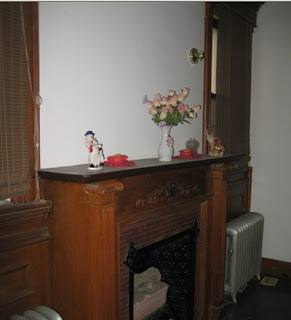 We wish we'd see this kind of wood, windows, and fireplace in something that wasn't so far away. We don't mean to be scrooge-like about it, but with the 2-Family loan limit sitting squarely at $960K, there's way better places to put 20% down on. That said, you can pick up a fine house if they'll go to $999K. There should be plenty of equity built in with which to do so, but that doesn't always translate to seller capitulation. 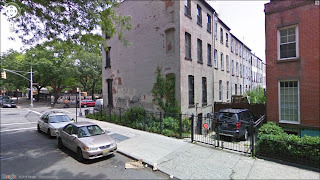 Just a few doors down from 341 Sackett, the unfortunate fakey brick place we held a Hater's Ball for some months before a fire half collapsed the joint, comes a solid 3-Family that can hold its head high: 345 Sackett Street. We're pretty sure we've seen this signage up outside the building and the listing up for a few months, but Property Shark, Zillow, and the nytimes.com/realestate all just got hip to it this month. Streeteasy knows nothing of it, mind you. The group that has the listing, Vespa, specializes in pricey properties in this area, many above $2M. 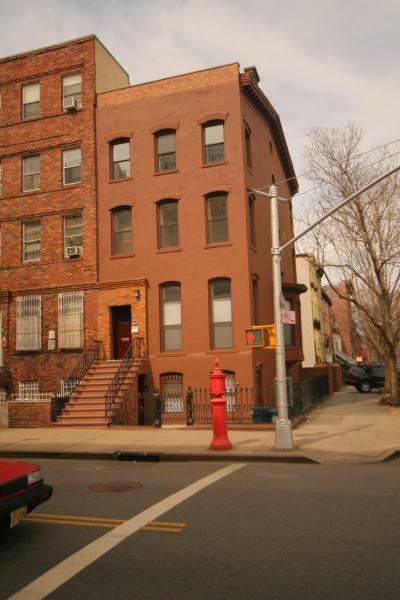 Indeed, the average list price on these blocks is the highest in the borough at $1.54M. And you can't argue with the location. Just in from Smith Street, by the corner where Bar Great Harry is, the walk to any amenity and the F/G trains is super convenient. But does a rising tide actually lift all boats? 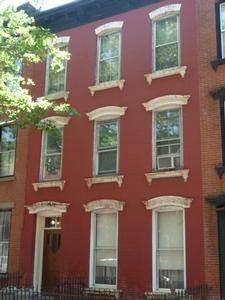 345 Sackett was purchased in October 2005 for $1.35M, and would get snatched up at that price today. Even around the neighborhood average of $1.54M, we're not sure you'd see too much resistance. The listing would have us believe, "this is a great opportunity to own a property in the neighborhood for under $2M," which is quite a paradigm shift in price-point. So what justifies this going above $1.5M again? Rental income? Funny you should ask. Rents are high over here & we don't see that changing any time soon. But how fast are they rising? The listing on the broker's website claims, "collect over $9000/month in rent, or move into one level and still collect approximately $6000/month from the rents." While the NYTimes listing claims, "Fully rented, the building yields just shy of $10,000/month in income for an investor. 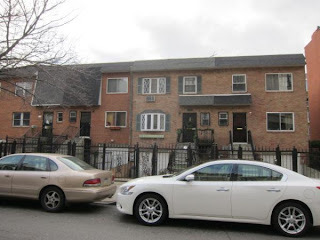 Take one apartment and still receive nearly $7000/month from the other units." Sounds like a fish tail to us. Check back tomorrow to see if it's making $11K/month. Also note, Property Shark lists the building as 19' x 40', while the broker's listing generously has it standing at 19' x 56' (but with the same square footage). "The camera adds ten pounds"?? 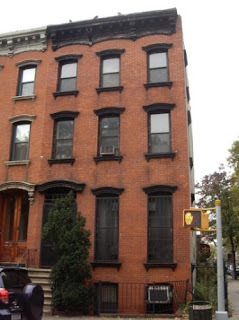 Kind of in that lovable no-man's land between Fort Greene and Clinton Hill, right across the street from Prospect Drugs, comes 105 Greene Avenue. It looks like the current owner's got it in '05 or 06 for $1.5M-something. They quickly went into Lis Pendens by 2007, which would make them a short-sale candidate at this point. Now listed for sale at $1.65M? Does anyone throw that kind of money around lightly? They could at least show something on the inside for that inflated price. At least 107 Gates from earlier this week could do that. Especially since there's any number of over-priced 2-Family homes out there, such as:476 DeGraw, or the equally-mysterious but way better situated 228 Cumberland, or 61A South Elliot Place. However, we were able to uncover some shots of the inside from an expired Corcoran listing - who else, right? Even when they don't have the listing anymore - and it was only a rental listing to begin with - they're still more on top of it than the current listing broker is! That's like doing your job better than your co-workers, long after you've quit. But Corcoran doesn't quit. Right next door they have 103 Greene Avenue. The good sister. The pretty one. Owners paid $2.1M a few years ago and are probably just looking to move on, even though they may still be over-priced at $2.35M - which can buy a heck of a lot of house in all kinds of neighborhoods these days. The listing is another pro job for sure by the agent and Corcoran's group, but we don't see any rush at this price with what else is out there. Lots of things are holding 105 back here too, but we'd love to see the whole current inside and find out if there's a price where it's interesting. 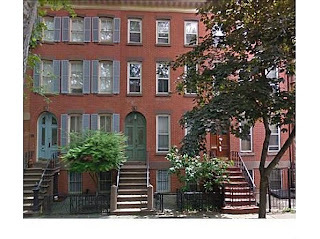 Pro's: around the corner from Brooklyn Flea, curb appeal?, "look at the lovely $2M home next door!"? Ideally: the price action moves down agressively and we get some idea of the interior. Right across the street from 159 Luquer, which we covered a few weeks ago before it quickly went into contract, we noticed the recent sale of 152 Luquer Street. The sale closed for $1.15M at the end of October and was recorded last week. 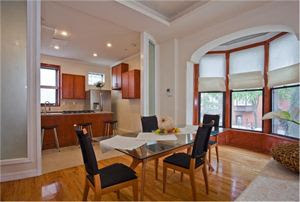 159 went into contract quickly with a decent interior and a not-too-high price point. We expect the final number to be close to asking price. 152 looks to be an estate sale and we're not sure where or if it was every publicly listed for sale. If it were, we imagine it might've fetched more. Con's: a little off the beaten path, boxed in by the BQE edges of Carroll Gardens, condition? Ideally: there's a few more plays like this at a nice entry point to a good neighborhood. In the heart of residential Clinton Hill, at the corner of St. James and Gates Avenue comes 107 Gates. 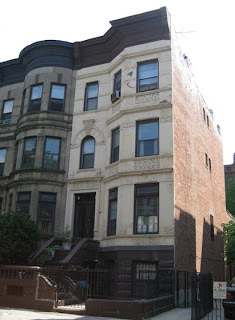 According to Zillow, this place was picked up on 4/20/05 for $1.1M, listed with Corcoran on 9/11/09 for $1.499M after a great renovation, quickly dropped price by $100K, and now listed with Prudential for the same $1.399M. Property Shark has the original list price in 2009 at $1.575M. While being on a corner is great, the exterior is not what it could be. We appreciate the renovation being clean & shiny, even if it's kind of dinky. We're not sure how much was spent here, but the flip certainly hasn't panned out. 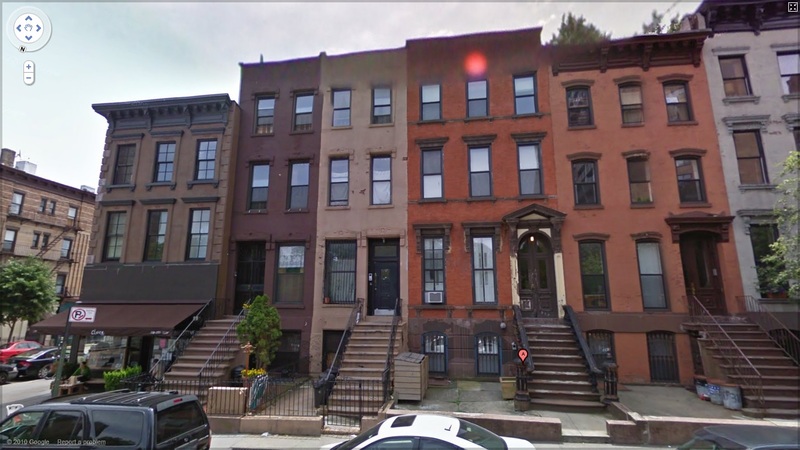 We think the Zillow listing reveals what the problem over here has been all along, "Once lived in as a four unit but now gut renovated to house two units." Two units is obviously not the ideal use for this space. Nobody needs a five-bedroom triplex and one bedroom rental. And who wants to compete against these gorgeous 2-Family's? 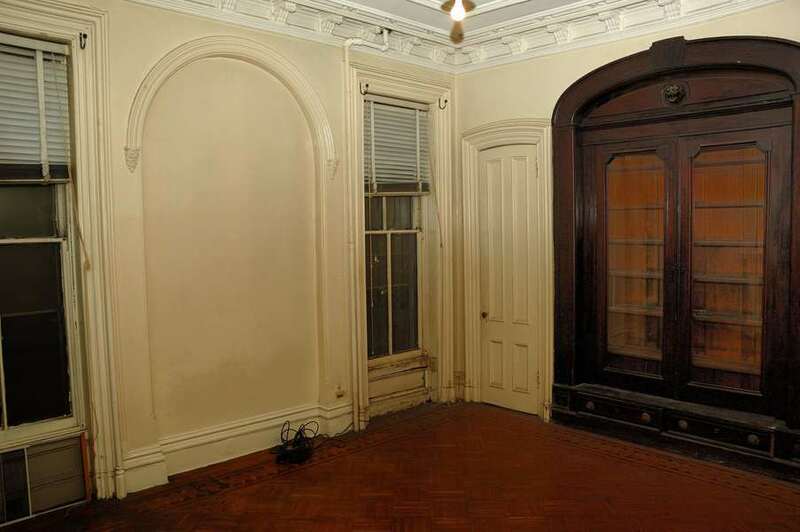 If they had simply converted this to a 3-Family and done essentially the same renvation, someone could have bought this for $1.3M-$1.4M a long time ago. Instead, this barely competes with 64 Lefferts at this rate. The 3-Family loan limit approaching $1.2M could have kept this sale in the game. This place just shoots itself in the foot. Sure, the backyard is great; but who's gonna pay this much for an owner's triplex, and not even get access to their own backyard?? And the listing doesn't do the house its full justice either. For example, if the place has parking, we'd love it if the agent would come out and describe it. Instead, we get the uselessly playful, "PARKING anyone?" Even poor old 204 Clermont might get sold before this place does. Con's: layout, price, 2-Family status, backyard goes to the 1BR rental? Ideally: they had converted to a 3-Family in the first place. If you consider how much money they paid, when they bought, and what they'll get now, it's just shame so much money was put in without adding that much value. The old listing says the rentals were getting a very believable $2,700/each, which puts the gross rental income for this place above $10,000/month. That would justify its original list price, but not this one. The location is pushing it a bit too. The block is a little odd. There are Pratt student rentals for sure, but the trains and amenities aren't all that. The little garden next door is a nice touch. The construction project on the other side is probably finished. Who can argue with 8,000+ sqft? 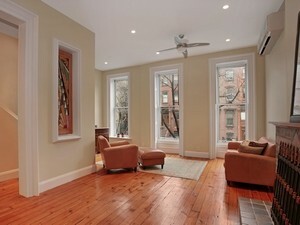 If 312 Greene could ever consider $1.5M, this place certainly might fetch close to that. 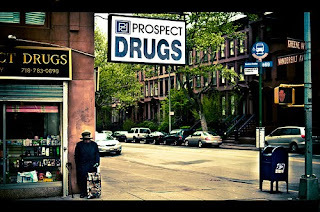 Con's: off the beaten path, what's with the price jump?, what's going on on that block? Ideally: there's something to justify this price leap, but we're not seeing it. 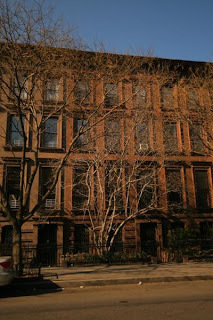 On one of our favorite tree-lined blocks in Prospect Heights comes 280 Park Place. 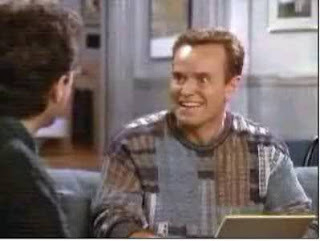 When you're right next to Prospect Park, around the corner from the ever-more-awesome Vanderbilt Avenue, and on one of the most stately blocks around - that's gold, Jerry! There's been lots of activity on this block recently in this price range, including right next door. 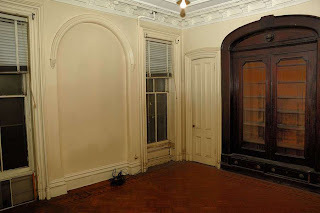 282 Park Place closed for $1.8M on 4/28/10. 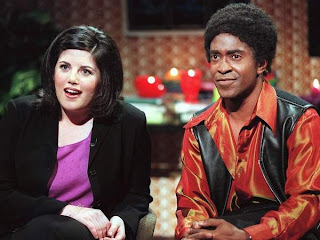 But don't even get us started on that lovely estate sale that just closed on the other side of Vanderbilt. We never even saw it hit the market, but 209 Prospect Place closed for $1M on 9/2/10. According to Zillow, this listing for 280 Park Place was removed in the spring of 2010 after first hitting the market on 8/25/2009. And it's still sitting in contract? 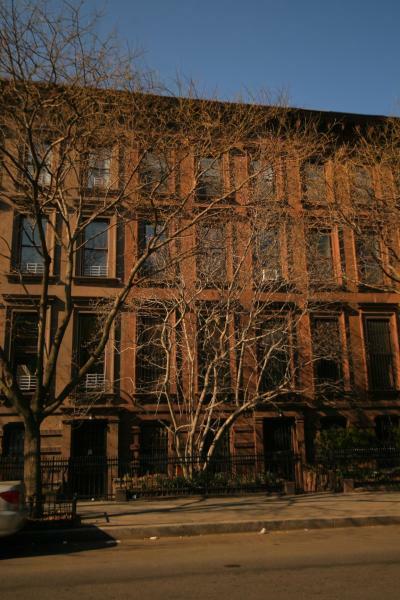 We're not sure if a condo conversion is the best play, as the listing indicates. And whether or not they can provide a Certificate of Non-Harassment is huge too. Throw some Norah Jones windows on the unattached side, and you're in business! Ideally: can't wait to see what it closes for. Could be a great buy if played right, but too rich for our blood. 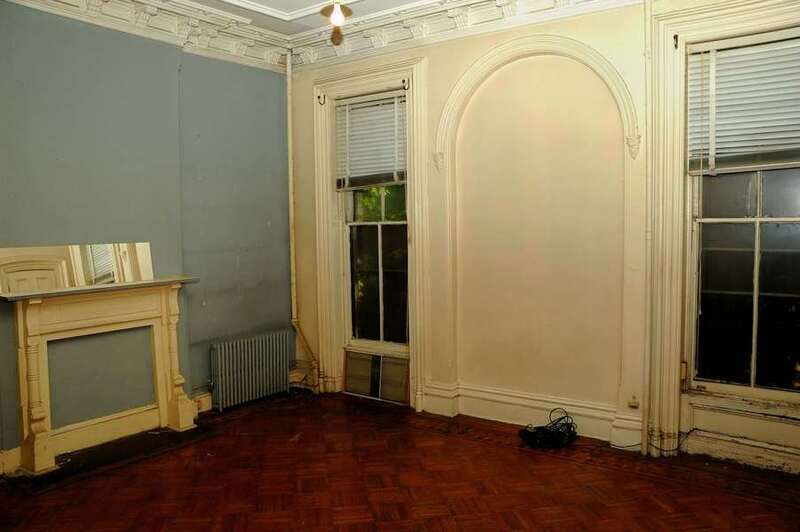 A bigger, better canvas to bury that kinda money into might be 109 Lefferts Ave. At this price, in this area, you're probably better off putting a little more down on a finished place. In other areas, even 473 Union still stands tall compared to this place. 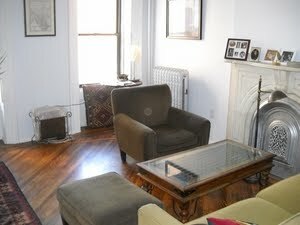 Con's: SRO status, needs total renovation, only ~2000sqft? Ideally: you'd have to have plenty of time and some deep pockets to make it worth it at this price. We've honestly been asking this agent for months to tell us where this place is. We saw the listing, the exterior picture, and now interior pictures; but for some reason the addresses of all the great Fort Greene, Clinton Hill, and Bed-Stuy listings this agent has were revealed to us, except this one. So we took matters into our own hands and tried a little trick we stumbled on. On some listings, if you right-click and save the picture, the default file name the picture will look to save as will contain the address of the property. 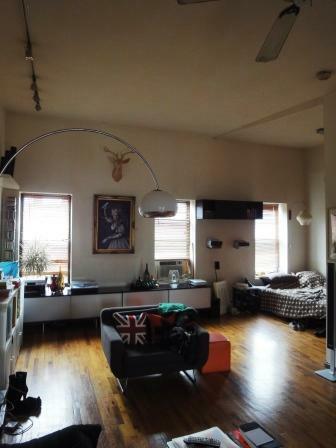 Guess agents who can't be bothered to tell you the address of a place also can't be bothered to change the file name when they save the picture. Either way, check out what we uncovered!! 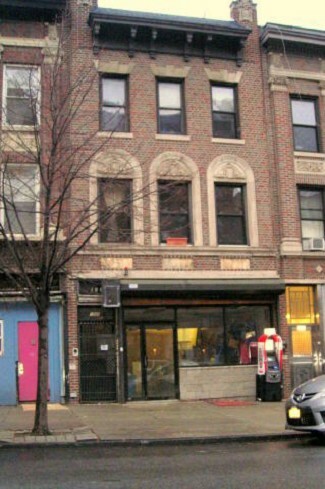 310 Lafayette Avenue is a 3-Family brick building 4 doors away from our beloved Choice Market. And it starts to compare favorably to the corner property up the way, the gut reno 238 Lafayette. According to Zillow, the property was purchased in 2006 for just $309K. Not sure if this owner did the renovations or took out more equity. Ideally: there's a play to make in the $1.05-$1.1M range! A paved, gated front yard with a drive-way? Welcome to Queens.... errr... 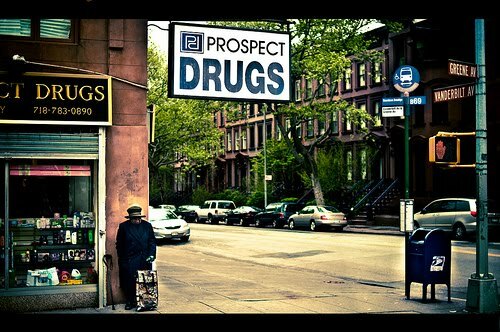 Prospect Heights, that is. 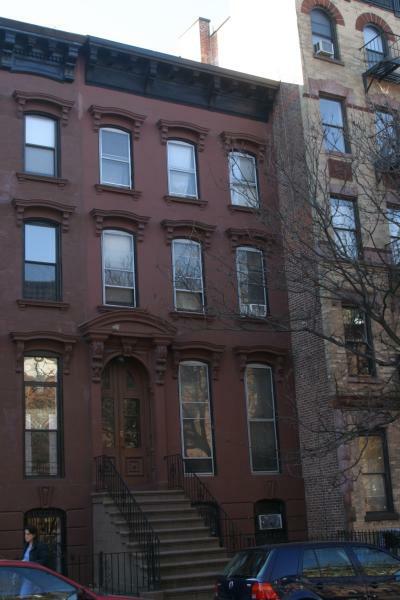 On a quiet, little block between Vanderbilt and Underhill, comes 698 Dean Street. Only a 2-Family and less than 40' deep, with a nice-but-dated interior, we're not sure about the pricing. Even though it's within the FHA loan range for 2-Families, the layout is odd with a basement studio and a "4BR" on top. Check the layout. 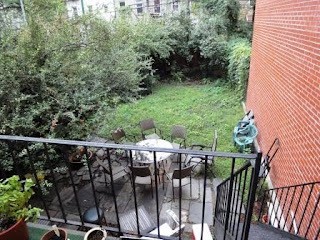 With $900K-ish getting a decent amount of brick or brownstone house just off the beaten path, we're not sure one has to compromise so much over here unless the price comes down significantly. It looks like the owner's cost basis is really low, and only a little bit of equity has been taken out. So maybe there's room to move if the play works for someone. Ideally: check out if 468 Carlton's worth its price or 473 Union. This interior is nothing special; clean white walls and handsome wood floors. That does the trick. The pictures aren't as informative as they could be, but at least they're there. We LOVE using this large floorplate for 3BR rentals. That's the ideal lay-out for this kind of space in terms of rental value. 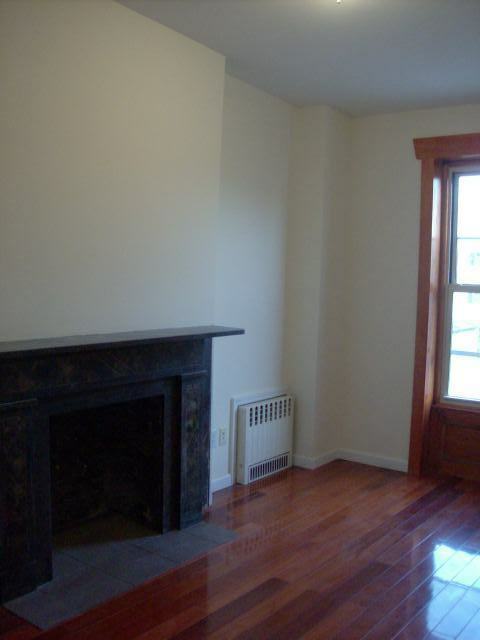 We imagine $800/BR would be the lowest one could expect to fetch over here. 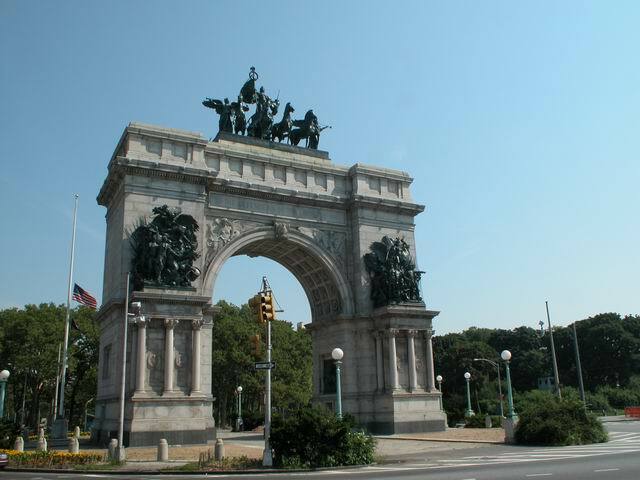 Who wouldn't want to be situated on a quiet block right by the library, the museum, the park, Grand Army Plaza and the trains there? The property is very comparable to 692 Washington, another mixed-use place that is slighty smaller, not as well-situated, and a little less expensive. The retail space offers interesting options, but nobody's done anything with it yet. Property Shark has a listing by the same myspacenyc group that's been up for 245+ days to rent that space for $3,500/month. Probably a little too steep for this area, but who knows what they're paying over there on Vanderbilt? This block might not be too far away from a similar renaissance.